April 17, 2009 - Subcommittee on SB 1593 and SB 1778. April 8, 2009 - audio only. Assess the effectiveness of major economic development programs in Texas. The review should include but not be limited to such programs as the Enterprise Fund, Emerging Technology Fund, Skills Development, and Enterprise Zones. Review major tax policy issues that encourage or hinder business development, including options for reinstating a margins tax research and development tax credit. Examine economic development programs in other states that have been successful and recommend changes to existing state programs, new programs, or changes in tax policy incentives that could increase job creation in Texas. Review the effectiveness of state programs aimed at assisting small business growth and development, including whether the development of a Small Business Commission could lead to a more efficient use of state resources. Include an assessment of all state policies aimed to assist small business and minority-owned business persons with procurement of state contracts. Review the impact of workforce development programs on economic development across the state. 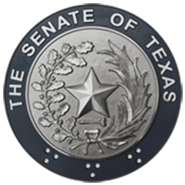 Focus on the impact of Texas Workforce Commission initiatives, the JET (Jobs and Education for Texas) program administered by the Comptroller's office, and federally funded stimulus programs. Make recommendations for legislation to improve and enhance workforce development in Texas. Monitor the implementation of legislation addressed by the Senate Committee on Economic Development, 81st Legislature, Regular and Called Sessions, and make recommendations for any legislation needed to improve, enhance, and/or complete implementation.